The requirements for Integration for the Leaving Cert are given in the box below. 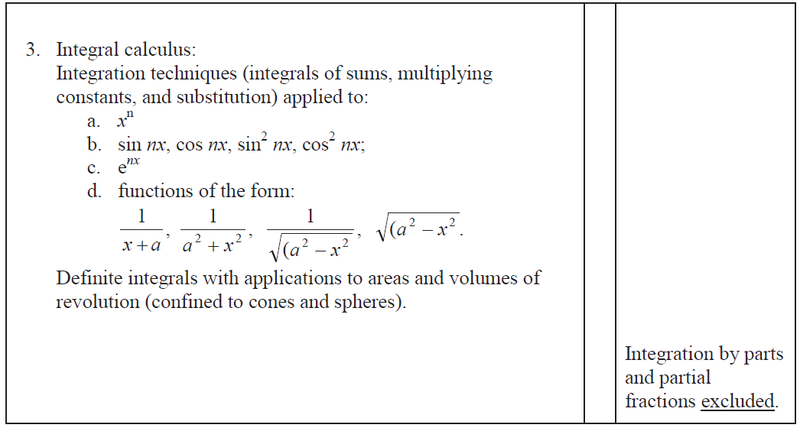 Note that Integration by parts and Integration using partial fractions have being dropped from the syllabus for Project Maths. But for those who still need it click here.